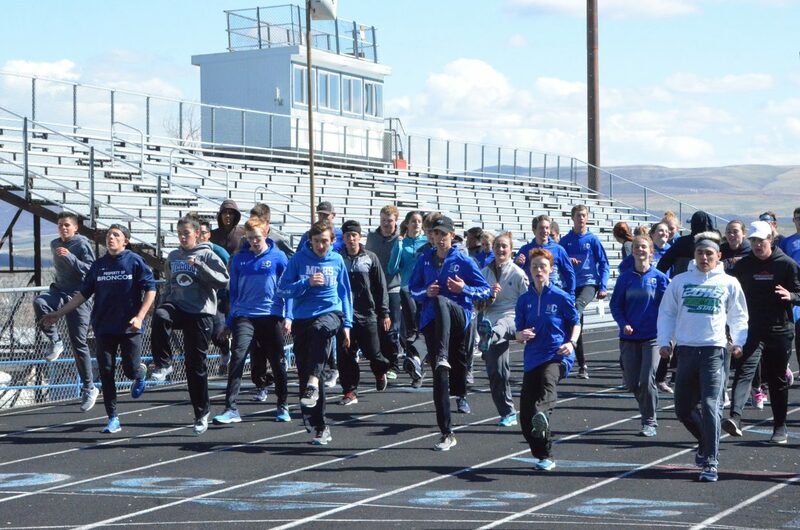 Moffat County High School track and field athletes warm up during a Tuesday practice. MCHS will host the Clint Wells Invitational Friday. Athlete(s) — Time/Distance, Place100-meter dashVictor Silva — 11.76, 7Eduardo Salazar — 12.21, 20Jared Atkin — 12.42, 25110-meter hurdlesJared Atkin — 16.80, 5Joe Campagna — 19.18, 11200-meter dashMiki Klimper — 24.09, 4Elias Peroulis — 24.12, 6Cale Scranton — 26.71, 27300-meter hurdlesMiki Klimper — 41.44, 3Joe Campagna — 50-10, 14400-meter dashWilson Eike — 57.28, 11Juan Loya — 58.76, 17800-meter runCarter Severson — 2:09.16, 6Juan Loya — 2:35.49, 201,600-meter runCarter Severson — 4:44.33, 24x100-meter relayElias Peroulis/Eduardo Salazar/Colin Jensen/Victor Silva — 46.20, 34x200-meter relayVictor Silva/Elias Peroulis/Jared Atkin/Miki Klimper — 1:34.56, 34x400-meter relayJared Atkin/Colin Jensen/Wilson Eike/Carter Severson — 3:45.24, 5DiscusJesse Earle — 136' 7", 2Carlin King — 127' 1", 6Zane Shipman — 117' 6", 11Shot PutJesse Earle — 43' 1”, 2Zane Shipman — 40' 1.5”, 5Aaron Hernandez — 37' 8”, 10High JumpColby Beaver — 5' 6”, 8Colin Jensen — 5' 6”, 8Long JumpEduardo Salazar — 18' 4”, 13Cale Scranton — 17' 7.5”, 20Triple JumpColby Beaver — 36' 0.75”, 14Cale Scranton — 34' 11.25”, 20— The team placed fifth overall. 100-meter dashEliana Mack — 14.32, 19Jaidyn Steele — 14.38, 22Megan Olinger — 14.77, 26200-meter dashEmaleigh Papierski — 27.19, 1Stephenie Swindler — 27.93, 7Quinn Pinnt — 28.42, 11300-meter hurdlesBrooke Gumber — 53.32, 6400-meter dashEmaleigh Papierski — 1:00.48, 2Stephenie Swindler — 1:02.03, 5Abby Bohne — 1:04.94, 8800-meter runKelsey McDiffett — 2:37.34, 3Sara Beason — 2:58.40, 10Allison Villard — 3:05.37, 131,600-meter runKelsey McDiffett — 5:34.41, 2Allison Villard — 6:32.43, 12Madison Atkin — 6:40.16, 133,200-meter runLiberty Hippely — 13:05.52, 6Tate Severson — 13:31.09, 7Lydia Berkoff — 13:55.24, 94x100-meter relayJaidyn Steele/Elaina Mack/Megan Olinger/Hannah Vasquez — 55.89, 64x200-meter relayStephenie Swindler/Emaleigh Papierski/Josie Timmer/Quinn Pinnt — 1:49.83, 44x400-meter relayAbby Bohne/Josie Timmer/Quinn Pinnt/Kelsey McDiffett — 4:26.88, 5800-meter sprint medley relayJaidyn Steele/Megan Olinger/Josie Timmer/Hannah Vasquez — 2:09.82, 7DiscusTiffany Hildebrandt — 99' 11", 3Caylah Million — 96' 8", 6Shot PutCaylah Million — 30' 7.5”, 5Tiffany Hildebrandt — 26' 5.5", 12High JumpBrooke Gumber — 4' 4", 9Long JumpStephenie Swindler — 15' 6.5”, 4Brooke Gumber — 15', 8Emaleigh Papierski — 12' 6”, 23Triple JumpJosie Timmer — 33' 8.25", 2Eliana Mack — 29' 1.5”, 15— The team placed fourth overall. 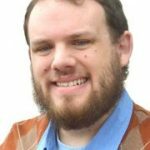 The outlook is sunny for the Moffat County High School track and field home meet, but the rest of the Bulldog season looks even brighter if the string of solid performances is any indication. MCHS will host the Clint Wells Invitational starting at 10 a.m. Friday with 17 teams scheduled to attend. Head coach Todd Trapp anticipates mild weather for the meet, a rarity for an event that regularly receives heavy precipitation and chilly conditions. Either way, he’s looking forward to the one day athletes — about 60 representing Moffat County — can take to their home turf. April 20 saw the Bulldogs at Fruita Monument’s Phil Wertman Invite in Grand Junction, where girls placed fourth and boys fifth overall. “Since spring break, we’ve really had some great meets,” Trapp said. Taking gold honors individually was Emaleigh Papierski in the 200-meter dash, achieving a personal record of 27.19 seconds along with the win. Papierski also hit a PR in the 400 dash at 60.48, placing second behind Grand Valley’s Jordyn Pittman, who leads all the 3A Western Slope League girls sprints. Kelsey McDiffett took the silver in the 1,600 run, setting a new personal best to top the conference rankings for the one-mile at 5:34.41. She also placed third in the 800 run. In the two-mile, Liberty Hippely brought her season best down to 13:05.52 for sixth. MCHS girls also attained a new lowest time in the 4×200 relay as Stephenie Swindler, Papierski, Josie Timmer and Quinn Pinnt placed fourth at 1:49.83, now the group to beat in the WSL. Papierski, Timmer, McDiffett and Swindler also hold the league best for the 4×400, set the week before at the Demon Invite. Timmer placed second at Phil Wertman in the triple jump, remaining in the lead in WSL for her jump at April 7’s Frank Woodburn Invite. Elsewhere in the field, Tiffany Hildebrandt got the bronze in discus and Caylah Million set a new PR in shot put for fifth, while Swindler earned fourth at Phil Wertman to lead the team in the long jump. For boys, thrower Jesse Earle placed second in both disc and shot, increasing his league lead in the former with a toss of 136 feet, seven inches. Earle ranks first in the shot put, too, still unbeaten in the conference after a throw at Frank Woodburn. Carter Severson also gained the silver in the 1,600 at 4:44.33, while Victor Silva’s season-best 11.76 got him seventh in the 100 dash. Miki Klimper got leapt back into the WSL lead in the 300 hurdles with a season-best 41.44 seconds to place third, also earning fourth in the 200, while fellow hurdler Jared Atkin was fifth in the 110. Silva, Elias Peroulis, Atkin and Klimper hit their stride in the 4×200, third at 1:34.56. Peroulis, Eduardo Salazar, Colin Jensen and Silva also got the bronze in the 4×100. MCHS boys remain in the lead for the WSL in the 4×800, set during Frank Woodburn. Beyond Clint Wells, MCHS track will also host its annual youth track meet at 5 p.m. Tuesday as varsity athletes assist elementary-aged participants. The same day, junior varsity Bulldogs will be at the Western Slope JV Meet in Gypsum, while varsity will take on the Western Slope Multi-Leagues Meet May 4 and 5 in Grand Junction.